New Orleans is not an easy place to plant a church, but Saints Community Church, with the help of AGTrust, is healthy and growing. 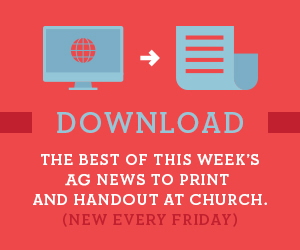 On Sunday, a record-breaking number of AG churches were launched in a single day, while the month will see another church planting record fall! Drawings the name from Matthew 4:19, Pastor Joe Barth and wife Donneta lead the new and growing Four19 Church in a part of the country where 79 percent of the people have little or no religious affiliation. Brenton and Rachel Fessler are church planters in Orange, California, and they've found the perfect venue for reaching the community — The Ugly Mug Coffee Shop.